When it comes to a new home, green isn’t just the right thing to do. It’s the smart thing to do. Both for the people who build homes and the people who live in them. That’s why the Environments For Living® program as developed. It’s the only national turn-key program designed to assist builders in constructing energy efficient homes using the principles of building science. And it’s leading the way in helping builders construct homes that are more comfortable and more durable than homes built using conventional methods. Did you know that your home, no matter the age, can have an Energy Score? Much like tracking the gas mileage of a new car, there's a way to score the energy efficiency of a new home! The Home Energy Rating System (HERS) was developed by RESNET (Residential Energy Services Network) and is the nationally recognized system for inspecting and calculating the energy performance of both new and used homes. Each 1-point decrease in the HERS Score corresponds to a 1% reduction in energy consumption. The lower the score, the lower the energy cost. Every Trendmaker Home is inspected by a Certified RESNET Home Energy Rater and receives a specific HERS Score. Trendmaker Homes score on average a HERS Rating of 60 which means that we can deliver a home that is nearly 50% more energy efficient over typical existing homes. At Trendmaker Homes, we don’t believe that you should pay extra for energy saving features, we feel it’s our obligation to you and our planet. An energy efficient home is a better built home. Trendmaker Homes takes every measure within our homes to reduce your energy consumption thus ultimately saving you money on your utility bills. From our high efficiency HVAC systems, to our Low-E Windows, to the insulation between the walls, we know what it takes to build you an energy efficient home you will be proud of. The U.S. Environmental Protection Agency recognizes Trendmaker Homes for its outstanding commitment to energy-efficient new homes in 2017. Energy efficiency ratings may be expressed as a HERS (Home Energy Rating System) Index rating. A HERS rating is a standard measurement of a home’s energy efficiency. HERS ratings were developed and regulated under the administration of the Residential Energy Services Network (RESNET). 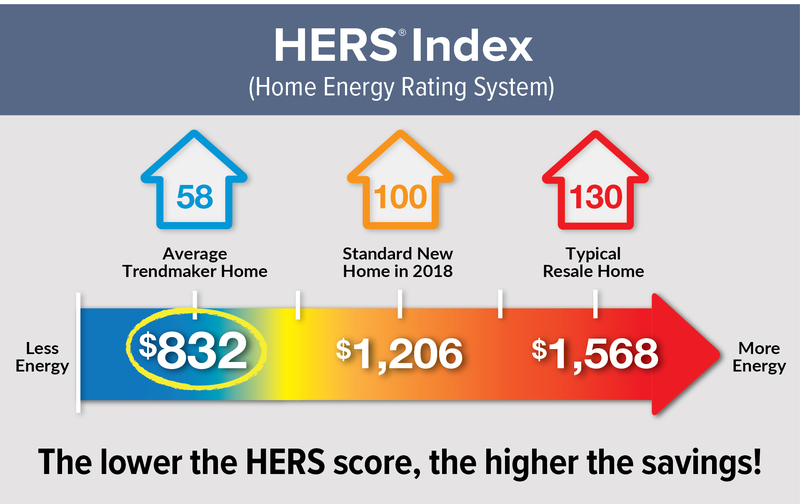 While the HERS reference scales are modified from time to time, according to RESNET, the U. S. Department of Energy has found that a “typical existing home” offered in the resale market has a HERS Index rating of 130, and the HERS reference home, the “typical new home” has a rating of 100, assuming that the home is built to the specifications of the 2006 International Energy Conservation Code. More information about the RESNET HERS Index rating can be found on RESNET’s website at http://www.resnet.us/energy-rating.Except as otherwise specified, an estimated rating is based a single test of a model of a floorplan similar to this home. Seller retains certified independent HERS energy raters to provide energy efficiency ratings for homes as designed pursuant to the applicable foorplan. The energy efficiency comparisons illustrated in this Home Energy Scale are based upon the average energy performance for specified home categories as determined by an independent HERS rater. Energy efficient features will vary depending upon the floorplans, elevations, design amenities/upgrades and the location of the home. Seller does not represent, warrant, or guarantee all homes sold by Seller have been individually rated. 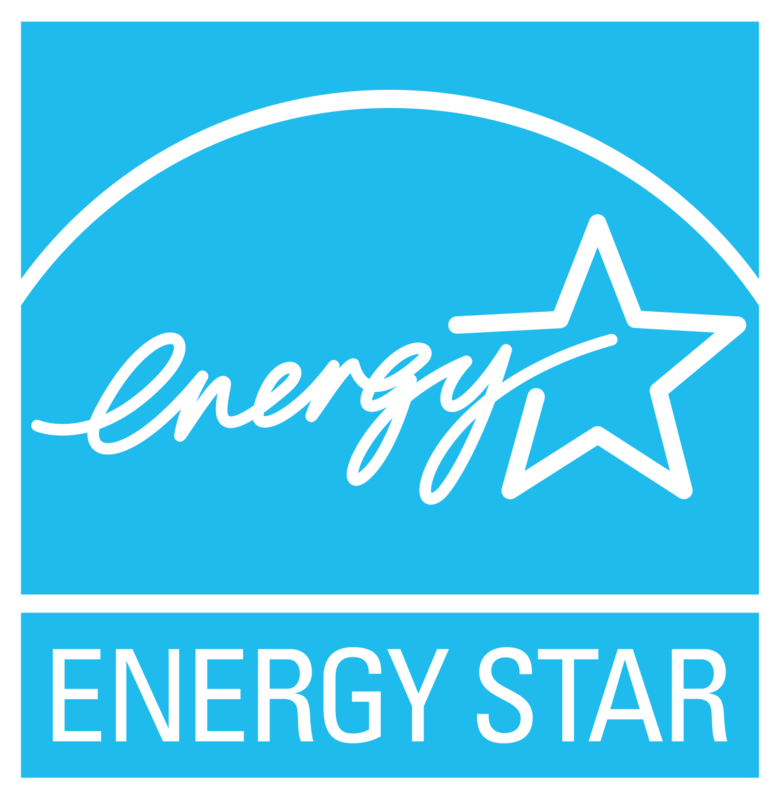 Further an energy rating score may or may not factor in all options and/or upgrades available to be installed in the home. Actual energy costs and/or energy usage are dependent on a number of factors, including utility rates, energy consumption, home maintenance, size of household, energy conservation practices, home orientation, and surrounding climate and weather conditions. Seller does not guarantee any specific level of electric and/or gas energy utility costs or savings. Seller has no business interest in any home energy efficiency evaluation organization or system, software program or rater. Seller reserves the right to modify or vary features or components so long as they are constructed in accordance with applicable laws. Information contained herein is based upon data obtained from third parties and should not be used as the only source of information when making purchasing decisions, investment decisions or tax decisions, or when executing other binding agreements.